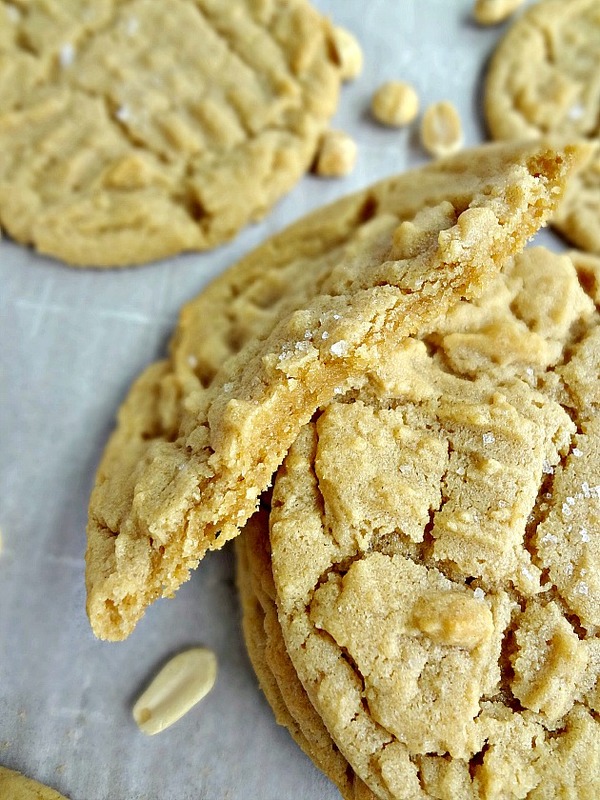 I don't know about you but I've noticed most peanut butter cookies are a little crisp, maybe a little crumbly. They're not all as soft and chewy as you'd like. That's where this recipe comes in. 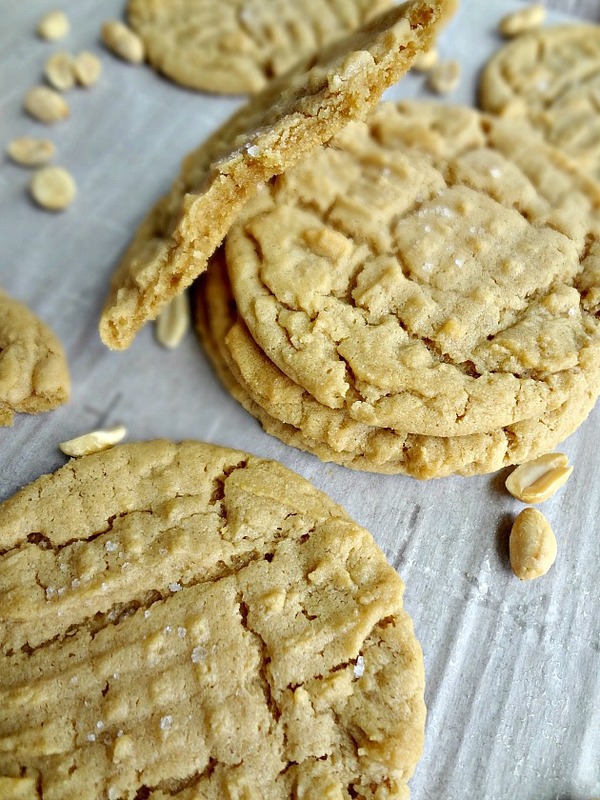 It's got a pleasant peanut butter flavor (not crazy peanut buttery, but definitely present) and they're so soft sometimes they just spontaneously break in half. It's a beautiful sacrifice in the name of chewy cookies. I made these for Michael's cousin, who needed them for a reception after a memorial service for her father-in-law. Food can be such a comfort item, and it was my pleasure to attempt to share this small bit of comfort to them. These are definitely the sort of cookie that is sure to please the masses and also make you feel happy and warm inside. 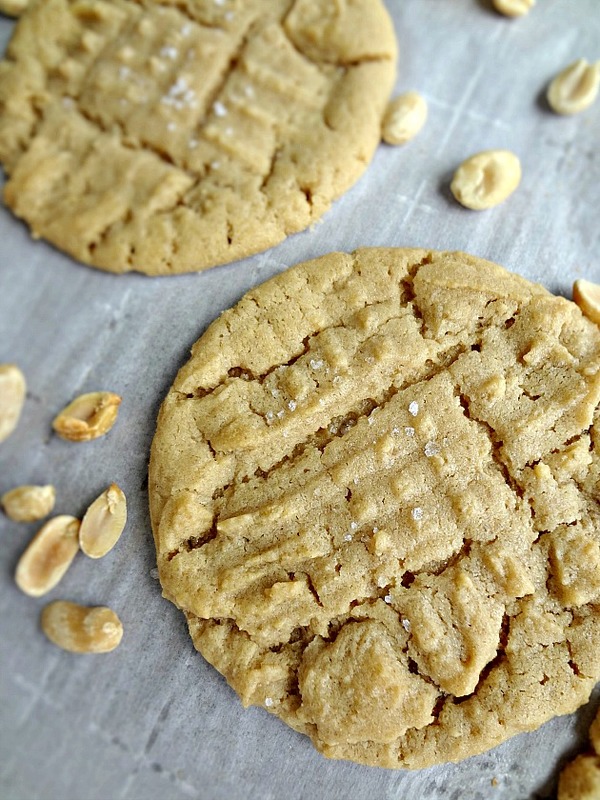 Really, when has a peanut butter cookie* never not made you feel better? But I did love how soft and chewy these were, they stayed that way leftover and it was so nice. If I drsank milk, I think having a plate of these with a glass of milk would be just the ticket! In the bowl of a stand mixer fitted with the paddle attachment, or in a large bowl using a handheld mixer, beat the butter until smooth and creamy. Add in sugars and beat until light and fluffy, scraping down the sides as needed, for about 2 minutes. Stir in the flour, baking soda, baking powder, and salt until almost combined and then use an electric mixer to beat on low speed until just combined. Be sure not to over mix. Cover the bowl and place it in the refrigerator for 1 hour, or up to 2 days. If you refrigerate the cookie dough for more than an hour, you may need to let it thaw a little before scooping. When it's time to bake, preheat the oven to 350F degrees and line a large baking sheet with parchment paper. Using a medium cookie scoop, or about 2 tbsp. of dough, scoop mounds of dough onto the cookie sheet, leaving a few inches between each. 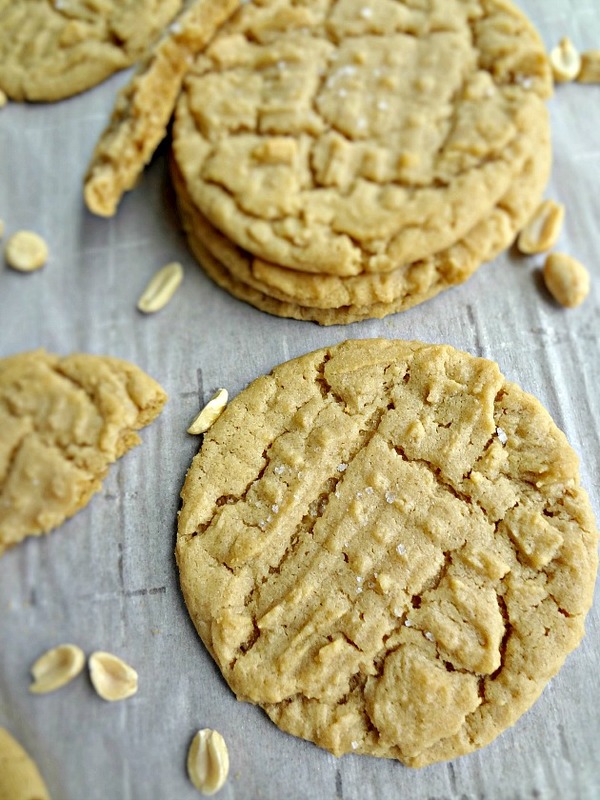 Use a fork to make crosshatch marks on top of each cookie, if desired. Bake 11-13 minutes, until the centers are set and the edges are starting to turn golden. Cool on sheet for 5 minutes before transferring to a cooling rack. To freeze the cookie dough: prepare as directed but-instead of chilling the dough, shape the cookie dough into balls, then place them on a parchment paper lined baking sheet. Freeze for about an hour, or until solid, then transfer into a freezer safe zip-top bag, squeeze out any excess air, and freeze for up to 3 months. To bake the frozen dough: follow regular baking directions, but add a few extra minutes to the baking time for the frozen cookie dough. Salt on top of cookies. It's a must, people. If you're not already doing it, I don't know what you're doing with your life.